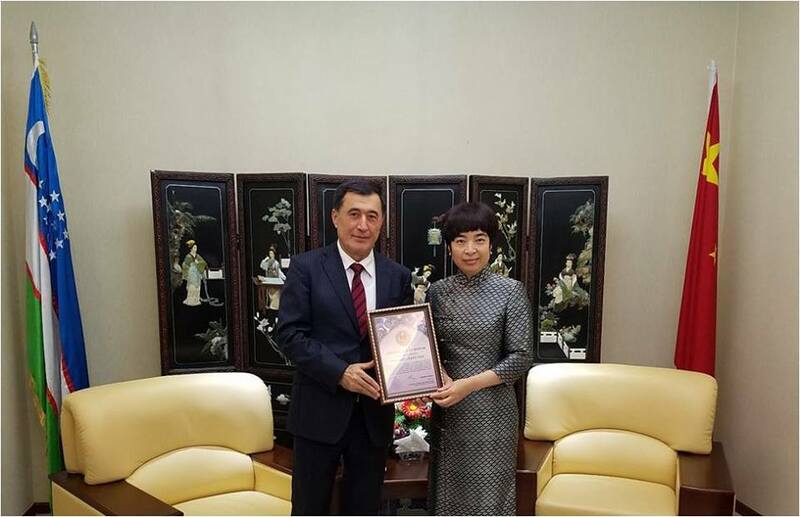 Director of the Institute for Strategic and Regional Studies under the President of Uzbekistan Vladimir Norov participated in a reception, organized by an ambassador of China in Uzbekistan Jiang Yan on the occasion of appointment of V.Norov as a Secretary General of the SCO. Ambassadors of Russia, India, Pakistan, Iran, Kazakhstan, Kyrgyzstan, Tajikistan, Belarus and deputies of the director of the SCO Regional Anti-Terrorist Structure also was invited to the event. According to the diplomats, today the Shanghai Cooperation Organization has become an influential structure that capable to ensure the security and stable development of its member countries. They emphasized the role of the SCO in creating and maintaining an effective global and regional security and cooperation environment. During the event, congratulating V.Norov on his appointment to the post of Secretary General of the Shanghai Cooperation Organization, the diplomats expressed confidence that the representative of Uzbekistan will contribute to increasing of the effectiveness of this Organization and expanding the cooperation of the SCO with the UN and other international and regional organizations.